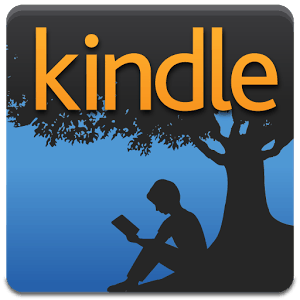 A premium Android app, Kindle provides an unbeatable experience for reading addicts. 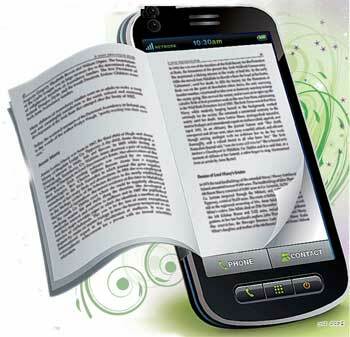 Get access to millions of books with a few taps and get ready to read your selected one as and when you please. You can choose to read free books and even buy them. It has a built-in dictionary where you can look for meaning of words you don’t get. It also Google and Wikipedia links from where you can discover a wealth of information. You even get to read the first chapter of a book for free before you making a purchasing decision. And add to it the joy of customizing your reading experience here by changing font name and font size, brightness level, background color and layout format. 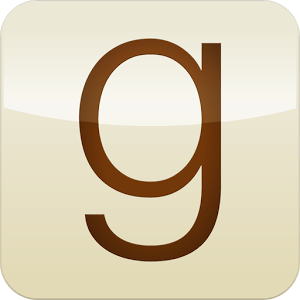 From a small community of bookworms, “GoodReads” has grown on to become the largest social network for readers. You can browse through thousands of book reviews here to determine whether or not to go for a particular one. You can also build your own virtual bookshelf by adding a list of the names of the books you have read and you wish to read. Even you can provide your own opinion for a book you have read and rate it. Add status updates as well as page number updates to keep a track of the books you are currently reading. Keep building your virtual collection of book and increasing your knowledge. To continue building your collection of paper books at affordable prices with handsome cash back, use Paytm coupons available on CashKaro.com. How many times have you got recommendations for books while interacting with your fellow members in book clubs or from strangers while reading a book in a public transport? The answer is probably quite big to remember! And how many times have you been successful at recalling the names of those recommended books? The answer is quite small to tell! To save you from this frustration, Bookqueue comes to your rescue! Bookqueue is an exclusive windows phone app where in you can store the names of the books for future reference while you are busy reading another book and look at the list whenever you want to read a new one. To save yourself from time and trouble of issuing books at library due to cost saving issues, buy your favourite ones now at heavy discounts along with the bonus of cash back by using Shopclues coupons via CashKaro.com. Google Play books app is your ticket to reading over 4 million books including the best sellers, textbooks and newly released ones. You can modify your reading experience here by changing the font size, font type, layout, adding notes, bookmarking pages and highlighting those lines which touch your heart. It also has tools to let you read a book with tough vocabulary easily and get more information about it with dictionary, Wikipedia, geographical information and web results. There are three different reading modes here to suit your mood i.e. day, night and sepia. If the publisher permits, you can even listen to books with text-to-speech. It possesses a great feature in the form of free pages. If you are in two minds on whether or not to start with a book, read some free chapters from that book for preview purpose and simplify your decision. I bought the enirte collection of books for my kids, and also for my nephews who live in California. The kids’ ages range from 4-10 yrs. old, and all of them enjoy the books. My kids find the books to be funny and fun to read. My husband and I appreciate the creative way that the books reinforce the Armenian language and culture to our kids. Great initiative by the author to capture in story-form what we as Armenian parents have experienced during our youth. As more and more generations of American-Armenians grow farther away from our foreign-born parents’ customs and rituals, these books allow us to bring the concepts back and share the funny anecdotes with our children so that they can continue to exist in their repetoire of the Armenian culture.